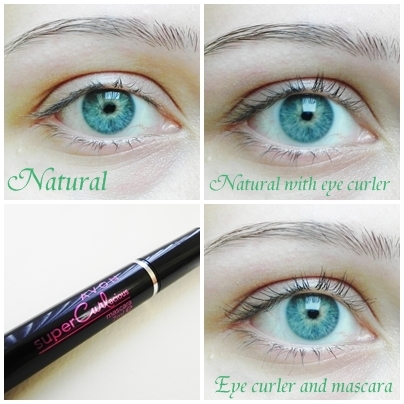 Avon’s Supercurlacious Mascara was definitely my go to mascara this summer. 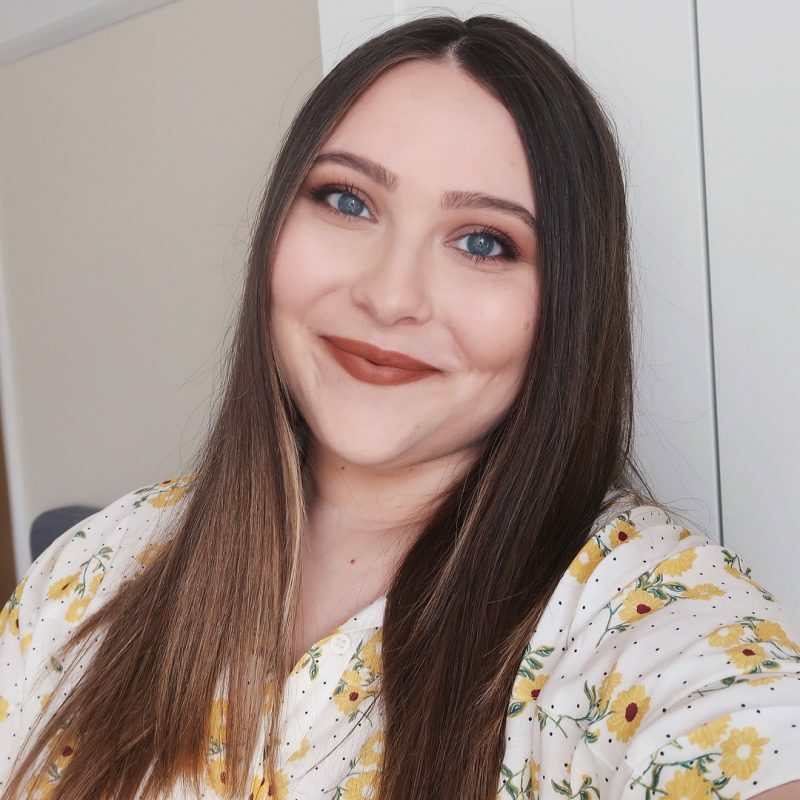 What I love about it is that it gives you very natural look, it curles your lashes, adds them some length, it doesn’t smudge and there are NO clumps. I also have to mention that it has a dry formula, so you don’t have to worry about accidentally getting it all over your lid or under your bottom lashes, which I find really annoying with the ”wet” mascaras. The only thing some people might not like is that it doesn’t give much volume to you lashes. 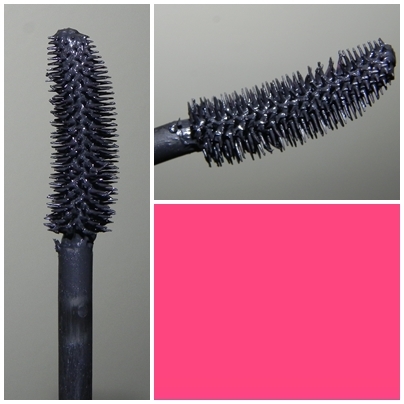 But then again, this is not a volumizing mascara so if you want one, I recommend you to buy some other one. The brush is curved and really helps you open up your eyes. Because of the shape and all those bristles, it also reaches all of your small and corner lashes, and seperates them really nicely. Here you can see how my lashes look after applying one coat of mascara. When I’m using this mascara, I usually do only one coat because I want my lashes to look as natural as possible, but you can definitely build it up. When applying more coats, it curls up and lengthens your lashes even more, but it doesn’t clump them like most other mascaras would do. 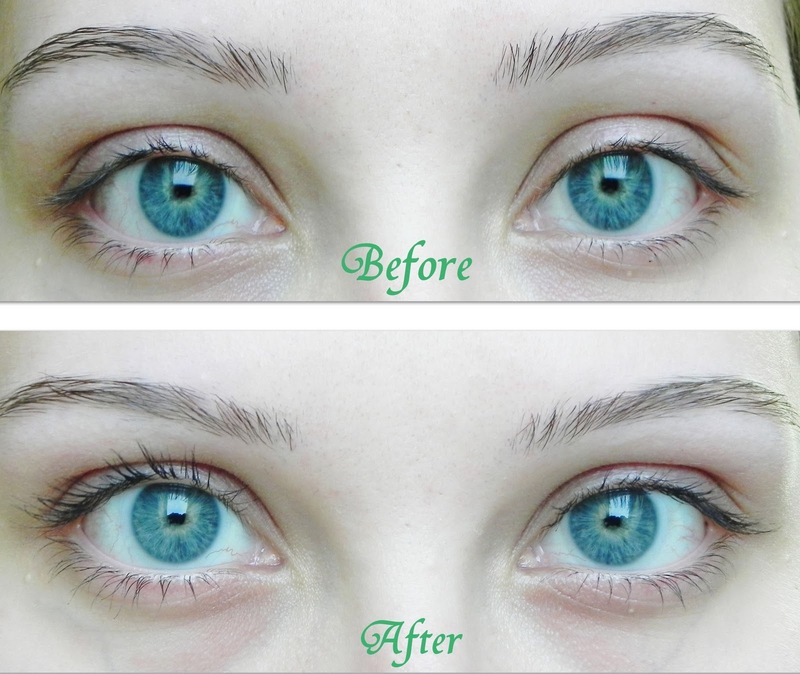 Here are the final before and after photos with one coat of mascara. 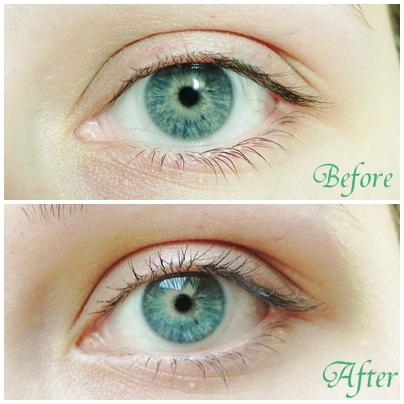 I used an eyelash curler before applying the mascara on the left eye, but not on the right one.